Arden is nestled between the Florida coast and everglades, an area that gives residents access to unique things to do. World-class equestrian centers, white sand beaches and a plethora of nature preserves and trails are just a few of the options to choose from. Even Arden’s youngest residents can take advantage of the area during the summer break. 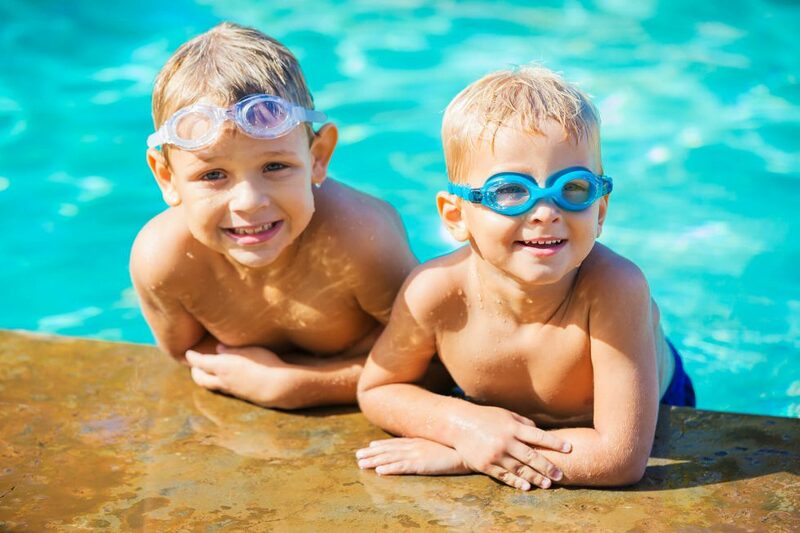 Here are just five of the local summer camps offered just minutes from Arden! The Aloha Surfing School offers three different camps that are all held weekly, with a daily option as well. At the Water Sports Camp, campers aged 7-12 participate in a variety of different high-energy water sports, like skim boarding and tubing behind jet skis. The Teen Water Sports Camp, ages 13 and up, is very much like the Water Sports camp but adapted for older children. At the Surf Camp, students aged 6-13 will learn the fundamentals of surfing and various surf maneuvers. Camps run on various dates from May to August, 2017, with registration based on availability. At Camp Invention, children from kindergarten-6th grade are presented with fun, exciting challenges that encourage creative problem-solving. Over the course of a week, campers work together to find solutions to problems that range from exploring a new planet to launching a start-up business. Camp Invention is a national program that will be offered at Binks Forest Elementary School June 12-16, 2017. Spots fill up quickly so register early! The Casperey Stables Horse Camp is a horse-lovers’ paradise. Camp days are filled with daily riding lessons, horse care lessons and horseback games. Field trips to local tack shops and horse hospitals and demonstrations by blacksmiths and equine dentists are sure to make every day exciting! Each day also includes crafts and sports, and each week includes a water play day followed by a cookout. At the end of each camp session, parents are invited to join their kids for a horseshow and cookout. There are five camp sessions available from June through mid-August 2017, so register early to save a spot. The PGA National Resort and Spa offers two summer camps. The newly revamped Golf Camp, ages 5-15, offers the opportunity to either learn the fundamentals of golfing or, for the more experienced players, develop your skills through professional instruction. At Tennis Camp, ages 3-15, campers will learn how to improve their stroke and ball placement through creative game play, with difficulty varying by age group. Both camps run from June to August 2017, with registration based on availability. At the Safari Day Camp, children ages 6-13 get to learn about and interact with animals every week! Each week has its own theme with animal encounters, behind-the-scenes zookeeper activities, crafts and games. Campers have the opportunity to help feed the animals, learn about conservation, help the zookeepers with tasks and more. Each day also includes an hour of swimming at the onsite pool, plus mini golf, paddle boats, a petting zoo and Ferris wheel and carousel rides. Dates are available from June to August 2017, but spots fill up quickly, so early registration is recommended. Interested in the fun and active lifestyle at Arden? Make sure to join the Founders Club to learn more about our community and stay up-to-date on Arden news.